SUNDERLAND seafront should be flying a red flag for danger instead of a blue one for quality, it was claimed today. Beach clean-up campaigner Bob Latimer spoke out after Roker beach reclaimed its coveted Blue Flag, which it lost last year over bathing water quality. Sampling for award organisers Keep Britain Tidy is done by the Environment Agency (EA), the previous summer. However, Mr Latimer said he has unearthed official data which casts doubt on the validity of testing at Roker and Seaburn. The EA measures bathing water quality against standards in the European Bathing Water Directive. A table of results showed that on August 1, last year, it tested the water at Roker – also known as Whitburn South beach – and recorded the quality as “excellent”. However, a coastal pollution document showed that on the same day Sunderland Council reported “sewage debris and dirty run off water” at the beach, which was “too much to estimate”. “For the unsuspecting public this is all very confusing,” Mr Latimer told the Echo. The EA said visible sewage debris does not necessarily have any impact on tests of bacteria levels. Mr Latimer, from Whitburn, also questioned testing procedures, after a weather waiver was granted to discount a failed test at Seaburn last August, while one for Roker was accepted. “One would assume they must have had the same weather conditions,” said Mr Latimer. The EA said it was able to obtain a waiver after Sunderland’s worst summer storm for 10 years flooded the sewerage system and caused overflows. It would not be unusual for neighbouring sample sites to produce different bacteriological results, as they can be affected by many factors such as tides, rainfall, sunshine levels, wind and currents. Regional water quality planning manager Dominic Shepherd said: “Our testing procedures are thorough, robust and independent. “We follow procedures agreed nationally with Defra to meet European standards. These procedures are followed rigorously and consistently across England and Wales. 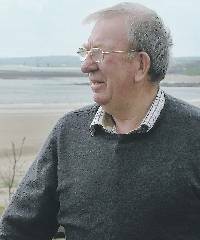 However, Mr Latimer disagrees and points to February 3, when a pollution report revealed up to 2,000 items of sewage on the promenade and tide line around Parson’s Point and the steps to the beach. “These Blue Flags should be changed to red,” he added.